Back on Tenerife. Terrific! 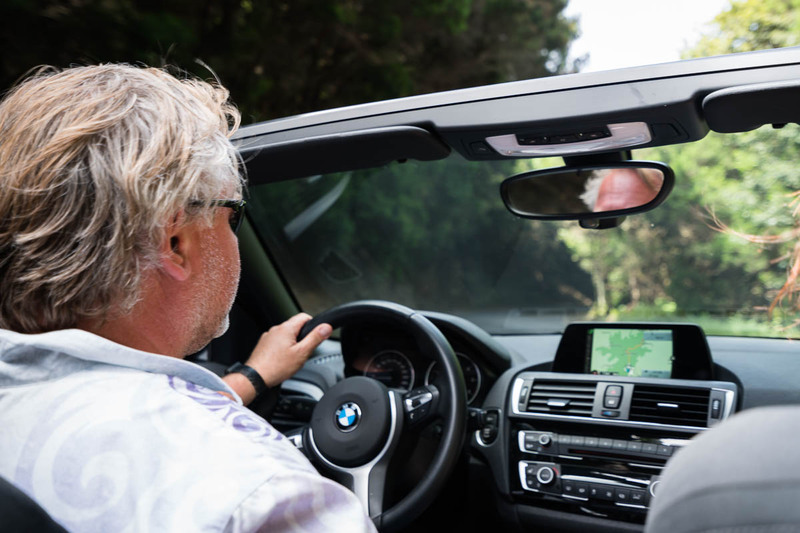 And since we’d scheduled in a full day to acclimatize before the business part of the trip, it was high time to get behind the wheel and off around those hairpins and up them volcanoes. Naturally! Now, normally to get to the top of a volcano your need to trek, climb and clamber up it, sometimes for several days (Kilimanjaro, for example). There are a few exceptions, one being Mount Etna, which can be scaled via first a ski-lift then specially equipped buses. Another is Mount Teide on Tenerife. This one’s for reeeaaal lazy tourists. 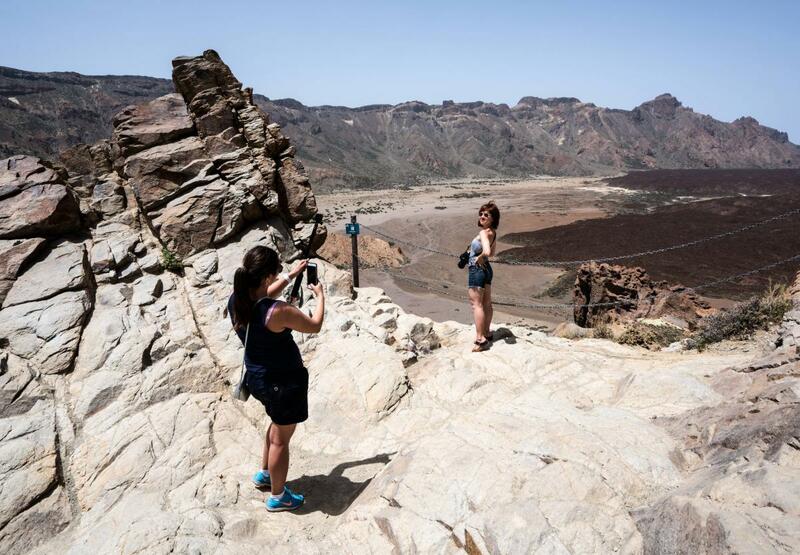 You can get practically up to Teide’s peak – which after the latest eruption now stands some 3718 meters above sea level – in a cable car! Yep, lazy tourists get whisked up 1200 meters (if the Internet is to be believed): from 2356 to 3555 meters above sea level. When you get off the funicular near the top there are a mere 170 meters up still to go. Warning! If ever you’re here and want a ride on the cable car, buy your tickets well in advance! Otherwise during high season you can be waiting in line for hours, we were told. Whoah! What views from the cable car! This sure was the highest I’ve ever been in a cable car. 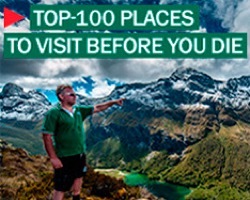 Curiously this one doesn’t make the world’s top-ten cable car lifts lists – neither CNN‘s nor National Geographic‘s. Eh? 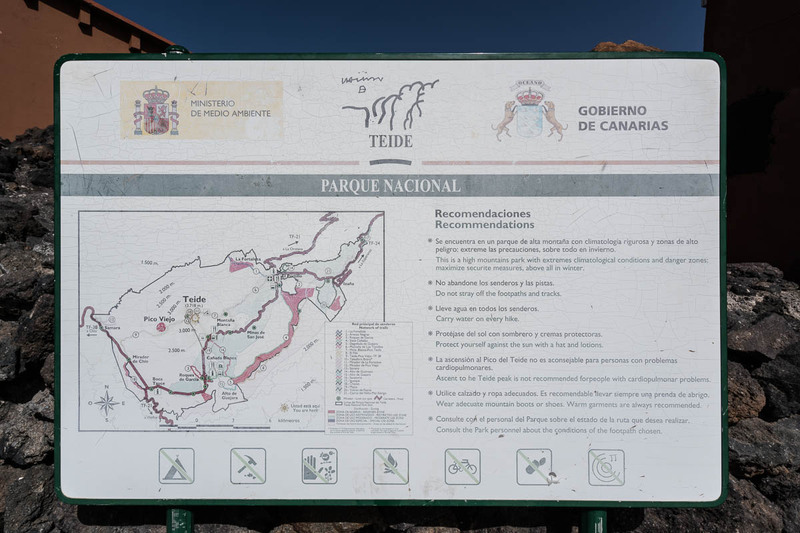 Teide is an active volcano, though comatose since 1909. Multicolored fresh volcanism at the top, the smell of sulfur, steep volcanic rockslides, and cooled lava flows still with no greenery upon them: all signs of a (deceptively) active volcano! Oh well, will have to save that one for next time. In the meantime, walking around by the top of the cable car was good enough. There are nice paths up there making the whole volcanistic experience rather special for those who’d never normally make it up a volcano without such civilized paths. Warning No. 2! Take note of the altitude up here. Three thousand five hundred meters! And if you’ve never been so high up before there’s a real risk of suffering from altitude sickness. I describe altitude sickness as it seeming like a concrete block is resting upon your poor head and you’re depressed and apathetic. But don’t worry. Just take it easy: sit down for a while, calm down, and breathe deeply. It’ll help. And running is simply forbidden – not that you’ll fancy running anyway :). Even better: to go up a path, then (with a permit!) to get to the very top, and then to descend down the opposite slope. Now that would make a fine one-day-trek route. 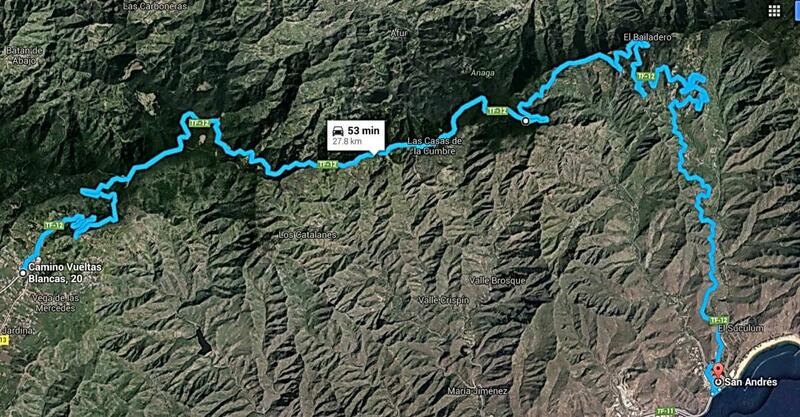 You’d have to set off early though, and be ready to cover 20-25km and rise ~1.2km! Ah, it’s only to be expected. Anyone’s first time up a volcano is always special. It’s almost like being on another planet. This road is very narrow, and as you can see very winding and snake-lake. Super views one side, steep cliffs the other. 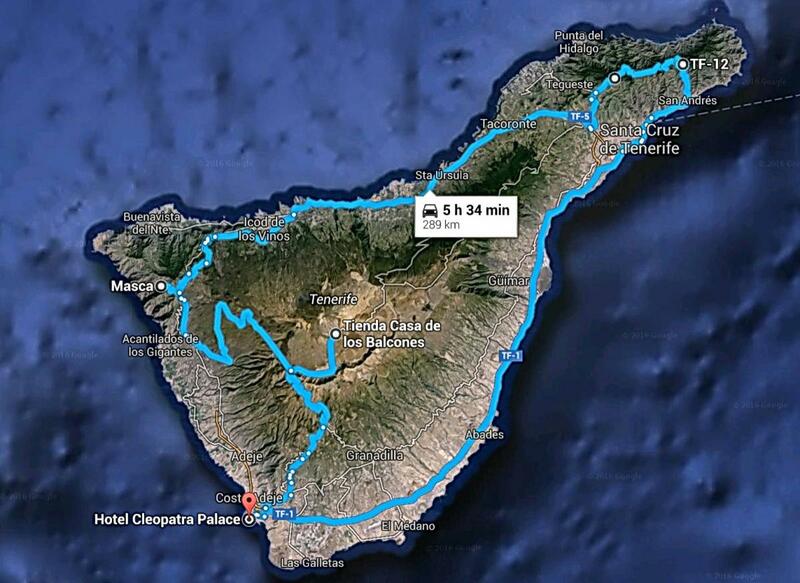 Around #Tenerife in one day: done. I love these roads! // Вокруг #Тенерифе за один день: сделано. Офигенные серпантинистые дороги! Google claims it takes 15 minutes to get from one end to the other, but no way is that possible. And 17 on a bus? Yeah right. Google – sort your algorithms out! Buses shouldn’t be allowed anywhere near this road. The turns are so tight they just get stuck all the time. Of course the buses cause hold-ups. So if you do ever drive along this road and they still haven’t banned buses and you find yourself behind one, you’d better just park up and enjoy the scenery. Your senses – and nerves will thank you for it! Next up: Macizo de Anaga, northeastern Tenerife. 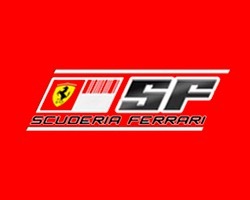 Yet another magnificently magical place that really needs a whole day, or two, spending at. A wide mountain range, monumental mountainous views, lush forest and lots of good paths. Perfect trekking territory! Hmmm. Here’s a road up there with the likes of GI-682, which I drove along recently. Hairpins, super views, steep cliffs. One minute we’re shrouded in cloud, the next – blinded by the bright sunshine. Bizarre! The road’s about 30km long: plenty long enough to extract sufficient satisfaction from its surroundings. …It was real fun, to say the least. 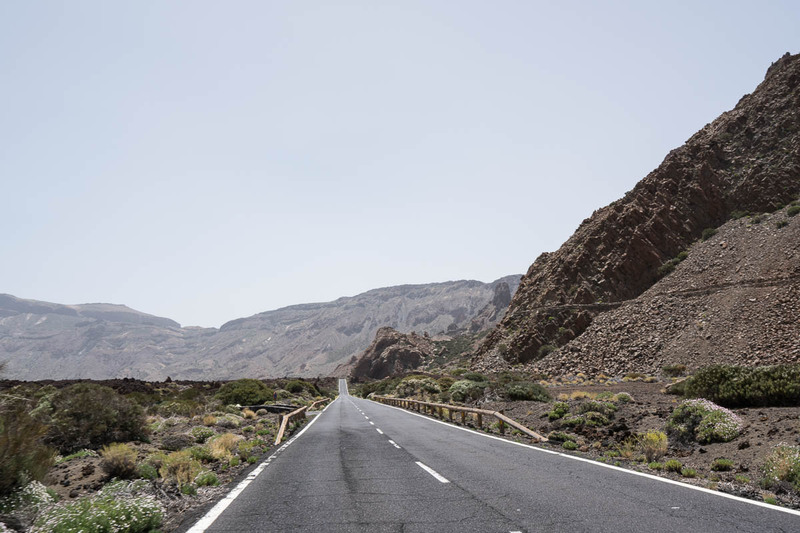 All the Tenerife pics are here.